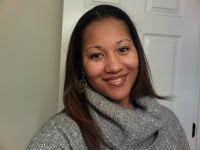 Guest author Patricia Brown, Technology Integration Coach at Old Bonhomme Elementary School in Saint Louis, MO: Augmented and virtual realities have the potential to dramatically shake up learning like never before. What started out as something that was simply “cool” has become a way to engage learners like never before. The first time I experienced Google cardboard, I realized that virtual reality was a way to bring a new dimension to learning. Imagine standing on the foot of the Eiffel Tower and seeing a 360 view of its surroundings, without even leaving your desk. Try launching into space and experiencing planet exploration through Popar Toys Planet3D App, and Space Escape Spacewalk Mayday through the Discovery VR App. In addition to bringing the world to the classroom through augmented and virtual realities, there are practical examples for their use in classrooms as well. Teachers can overlay digital content and information onto the real world--using triggers like images and locations--to open up a whole new world of learning opportunities. Do you want to allow students to interact with 3D models? Bring learning to life? Break down the walls of the classroom? Experiment with an AR app--and watch the magic happen.